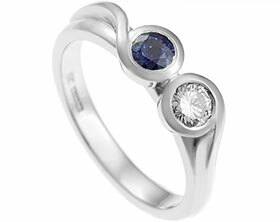 Alex and Rachel came in together hoping to find the perfect ring that would also sit in line with their values. 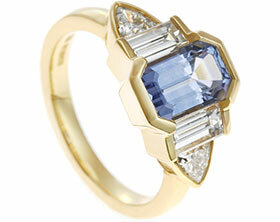 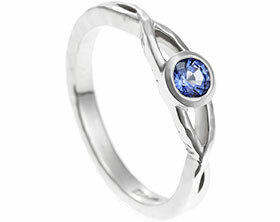 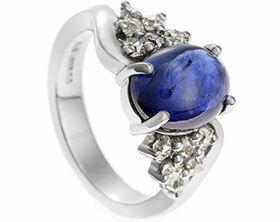 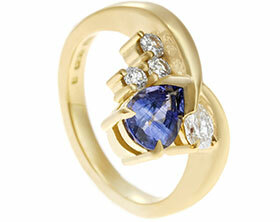 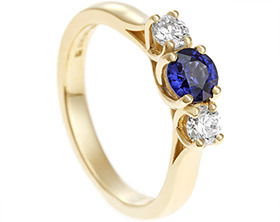 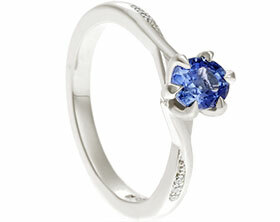 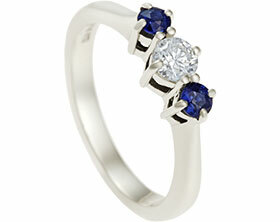 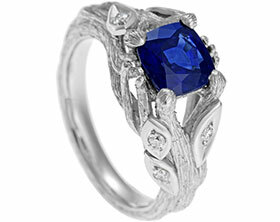 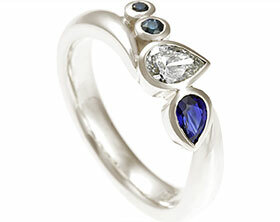 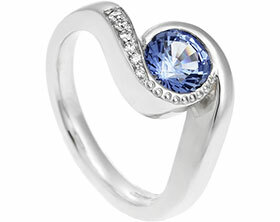 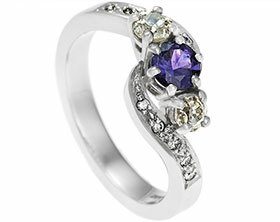 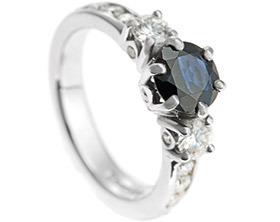 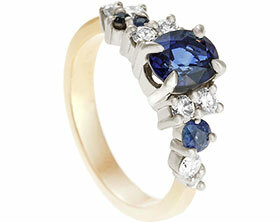 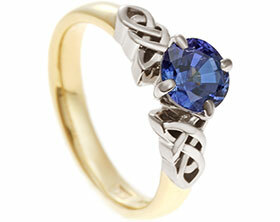 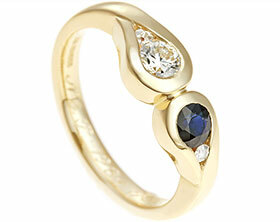 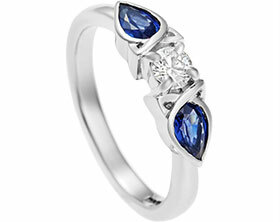 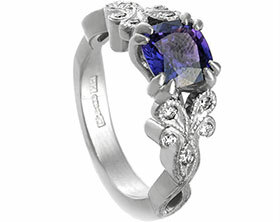 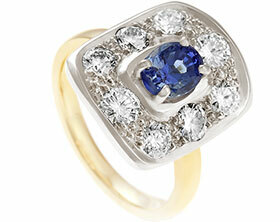 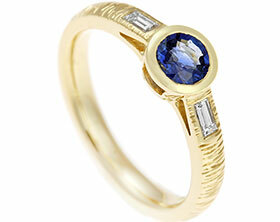 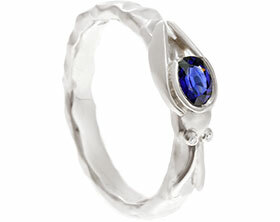 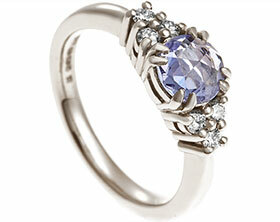 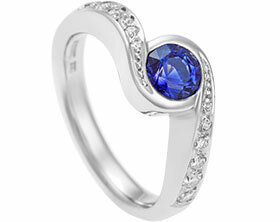 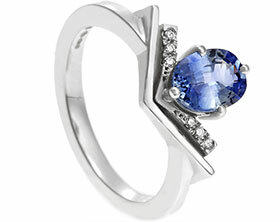 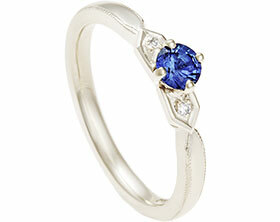 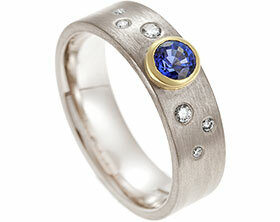 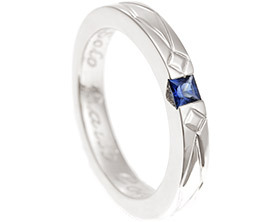 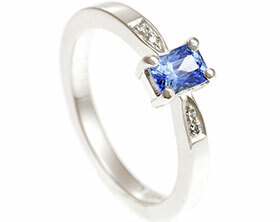 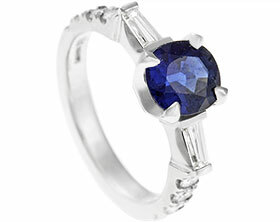 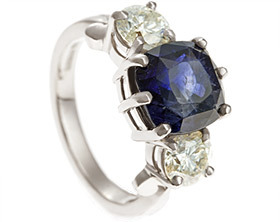 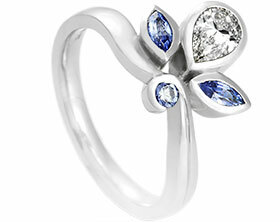 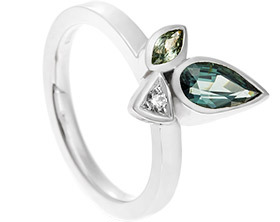 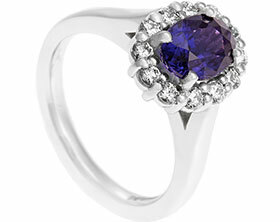 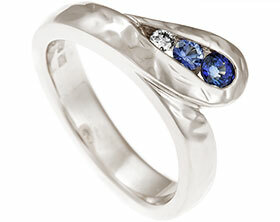 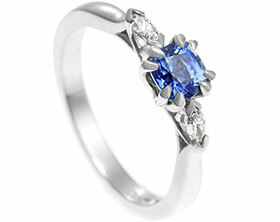 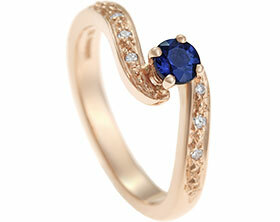 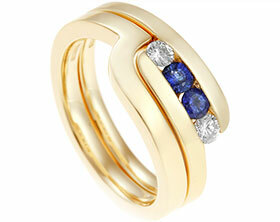 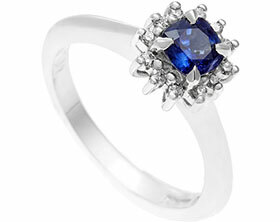 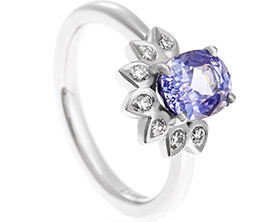 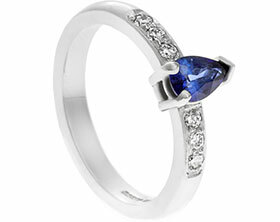 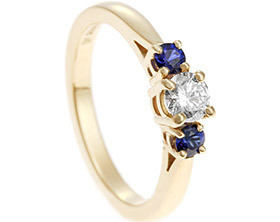 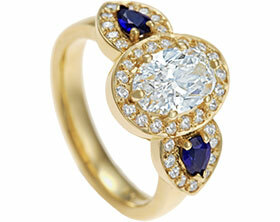 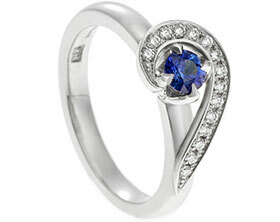 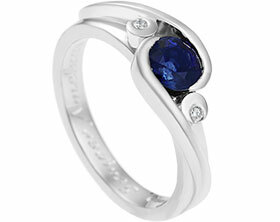 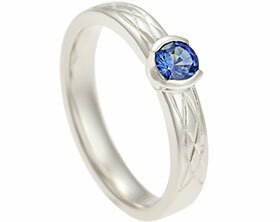 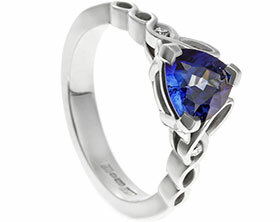 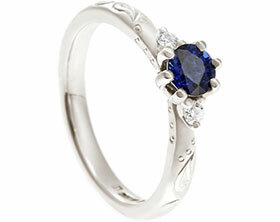 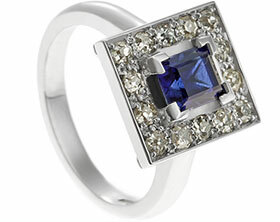 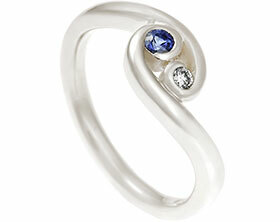 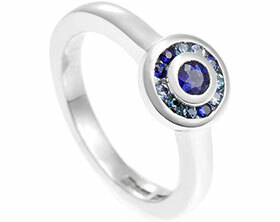 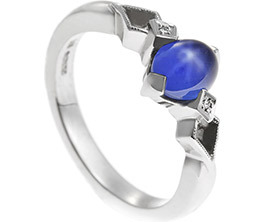 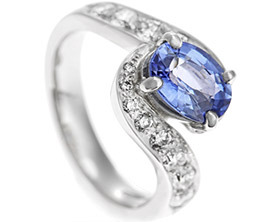 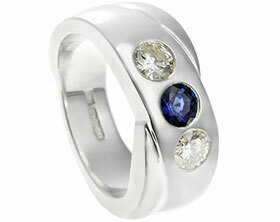 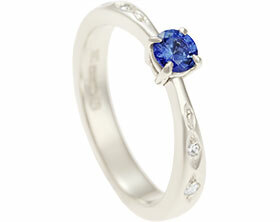 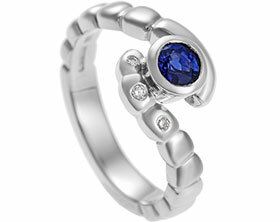 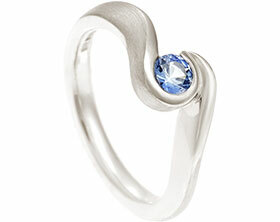 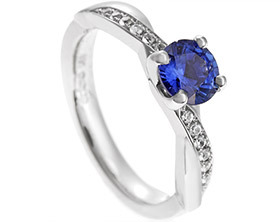 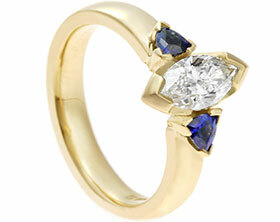 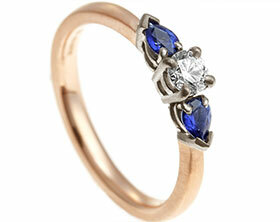 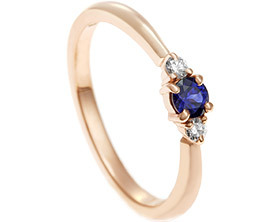 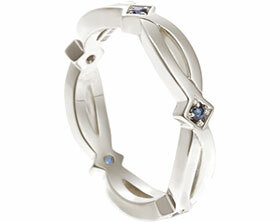 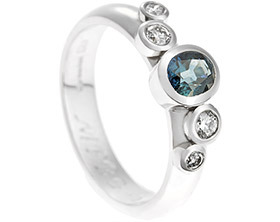 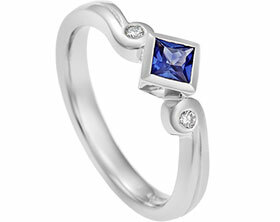 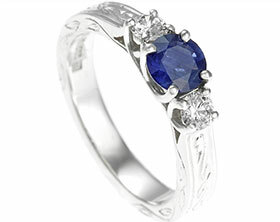 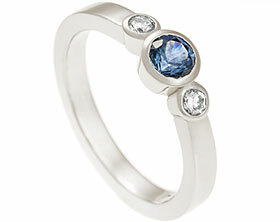 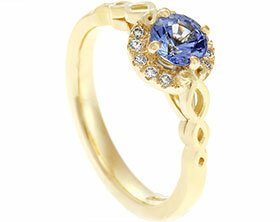 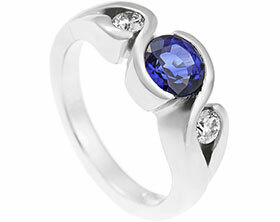 Rachel loved the idea of having the main stone as a sapphire with smaller diamonds in the design but not too obvious. 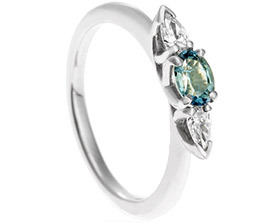 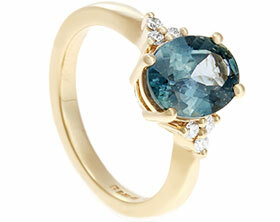 After viewing some sapphires, Rachel chose the greeny-blue Malawi sapphires rather than the very bright blue tones. 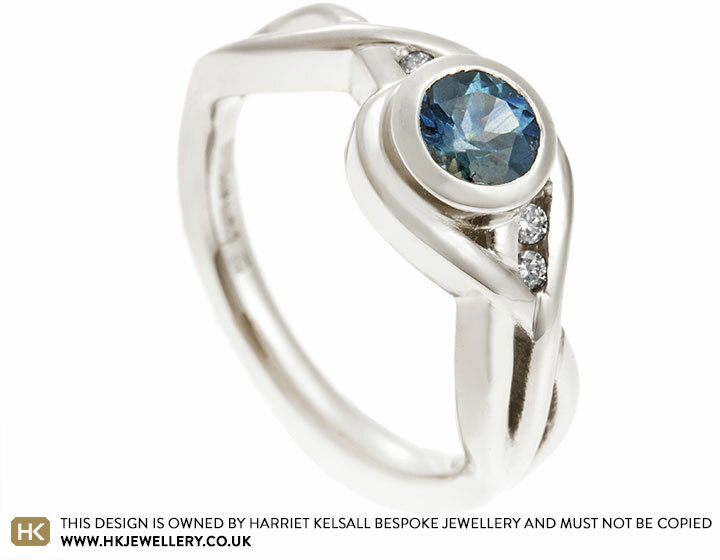 They loved the thought of incorporating twists to resemble water and Celtic knot-work, as they are both keen kayakers with Scottish heritages. 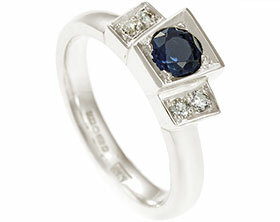 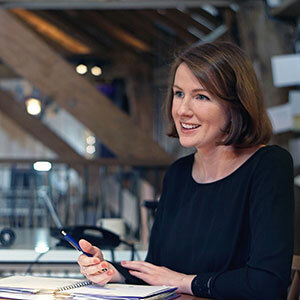 They chose a traceable sapphire as well as opting for Fairtrade 18ct White gold to make this asymmetric design perfect for them and their ethical values.